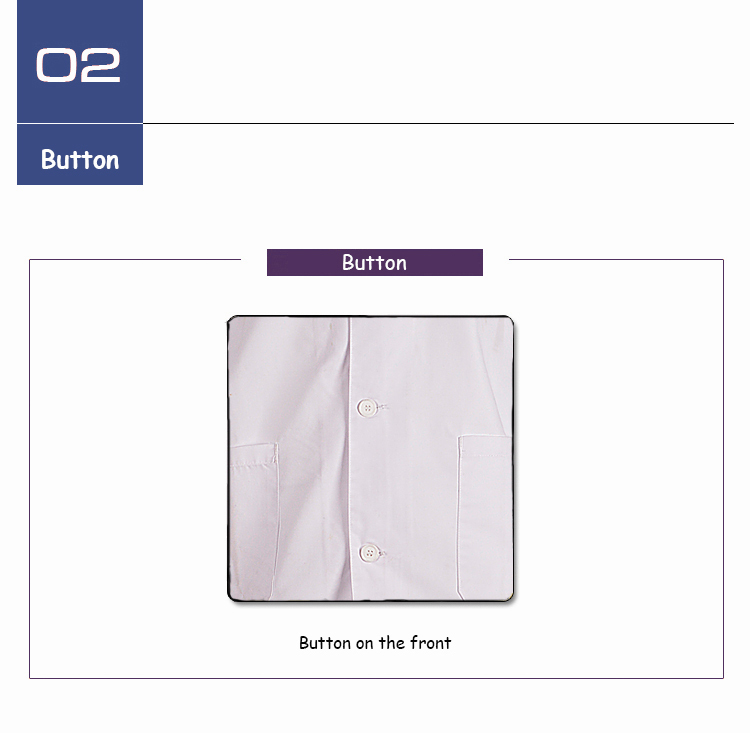 This white color Work Jacket has 1 chest pocket,2 bottom pockets.The double stitched seams design make it long lift time while wearing it.On the chest,we may put embroidery or printing LOGO of your brand on it. 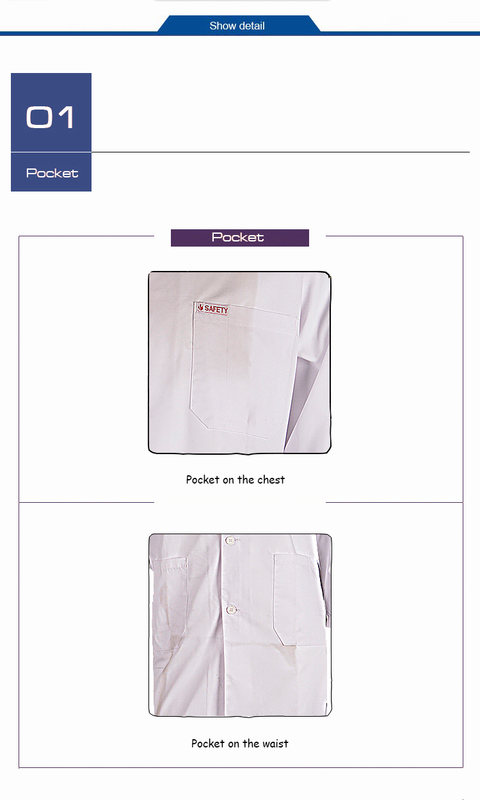 Looking for ideal Doctor Cope Workwear Manufacturer & supplier ? We have a wide selection at great prices to help you get creative. 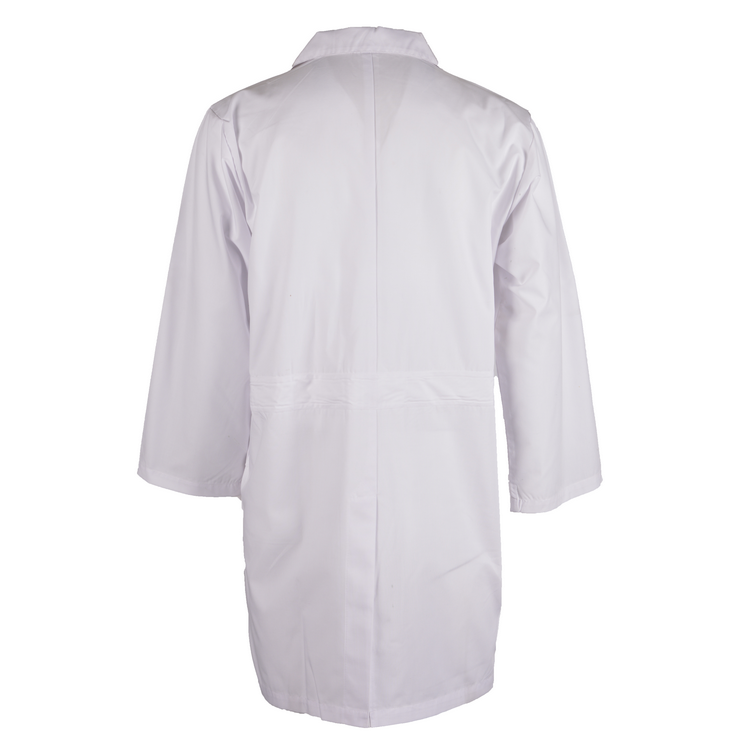 All the Medical Staff Robes are quality guaranteed. 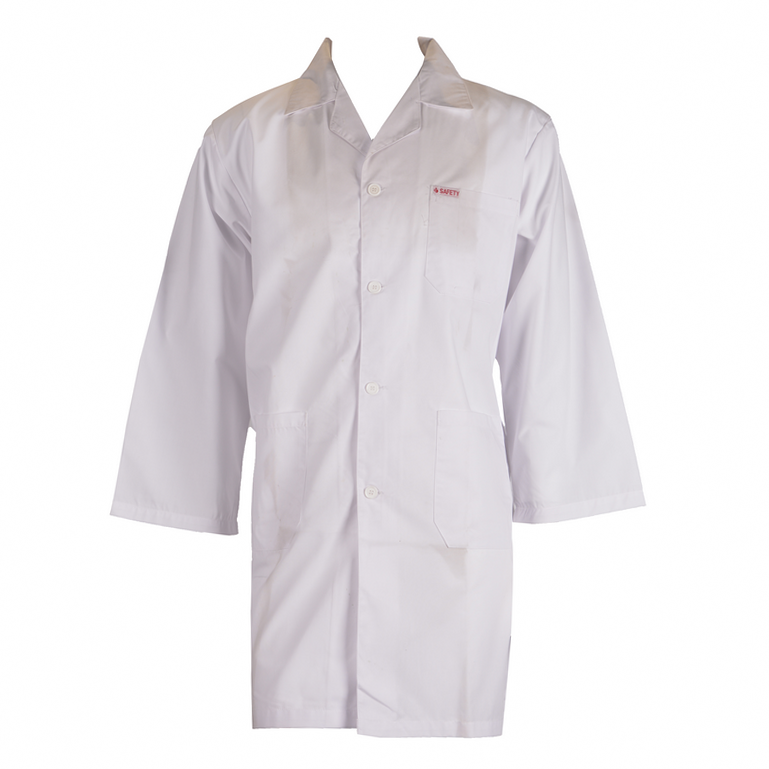 We are China Origin Factory of Laboratory Work Wear. If you have any question, please feel free to contact us.